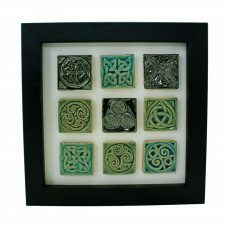 Quality Celtic design tiles, handmade from stoneware clay. 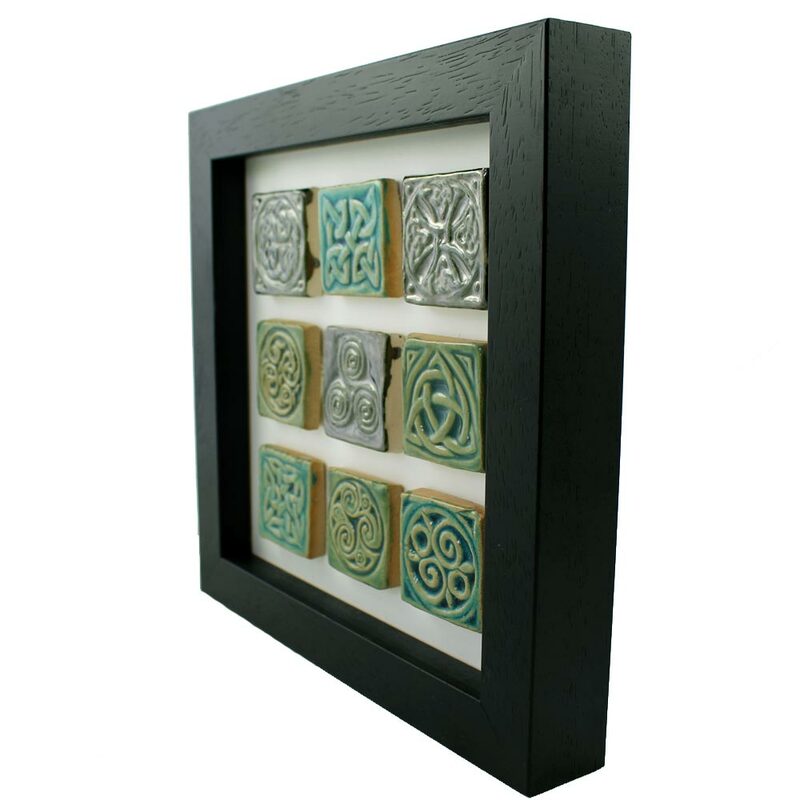 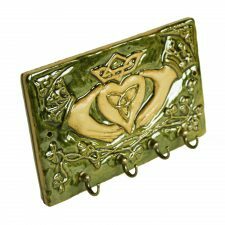 This a beautiful set of 9 ceramic tiny tiles, each with a different Celtic design. The fabulous colour combination has been inspired by the shades found during winter in a typical Irish forest. 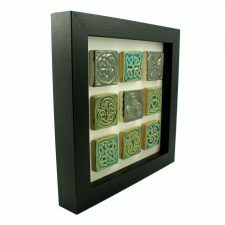 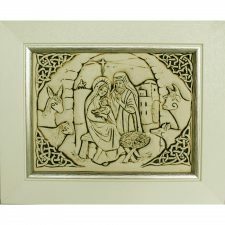 Quality Irish gifts for traditional and contemporary homes. The following description, by Celtic Valley Ceramics, is provided on the back of the frame. 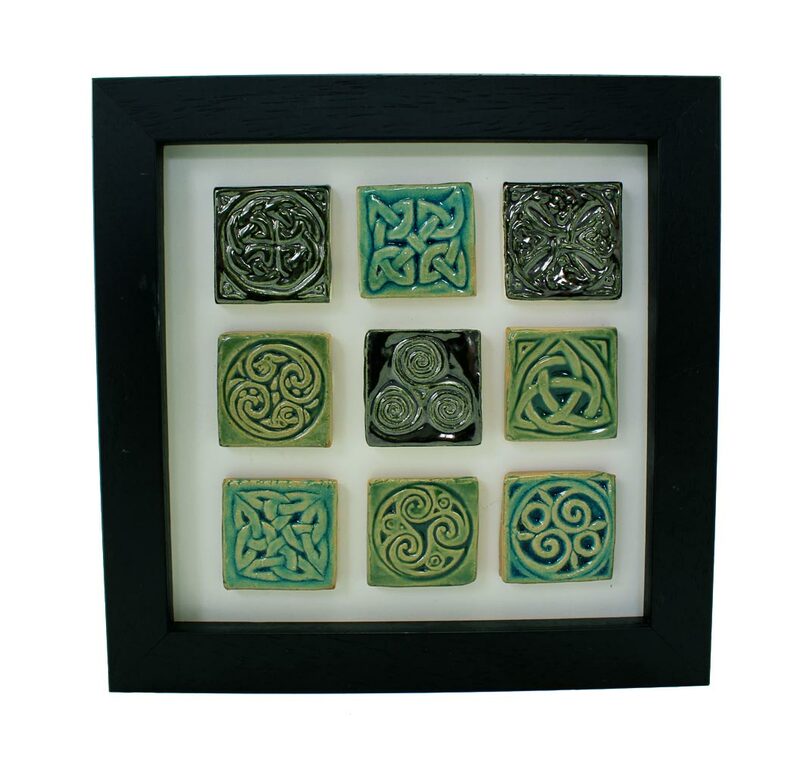 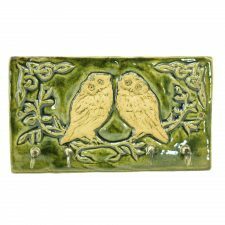 Beautiful ceramic gifts handmade in Ireland.